Baby (Tails Redo), Distant Love (Chris McClenney Remix), Break It Down (Louis Futon Remix), How About Now (WYLN Edit), Upper Echelon (Jailo≈Trees≈Refix) and more. Here at LunchNLeftovers, we are dedicated to providing musical talent from all over with an outlet to shine. The first installment in our brand new series does just that and highlights some of the best music out, both independent and mainstream. 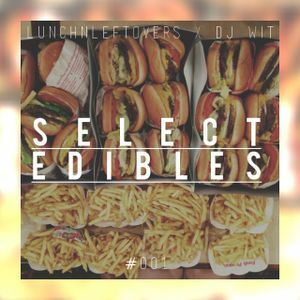 With everything from House, to Club, to Hip Hop, this mix embodies the mindset that LunchNLeftovers has when it comes showcasing brand new music. So sit back and enjoy some of the finest music out there with Select Edibles.